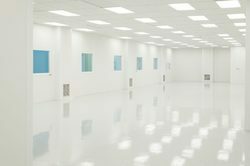 We are a leading Manufacturer of carpet flooring services, clean room flooring services, false flooring, epoxy flooring, raised access floor system and sports flooring from Chennai, India. We have uniquely positioned ourselves as a trustworthy organization, engaged in offering a distinguished assortment of False Flooring. Suitable for playgrounds, hospitals, schools and supermarkets, the offered false flooring is manufactured by using industry proven basic material and the latest technology by our skilled professionals. We offer this false flooring is in different customized options in order to cater customer’s requirements. 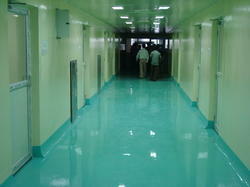 we are leading supplier of Epoxy flooring in chennai and tamilnadu location . 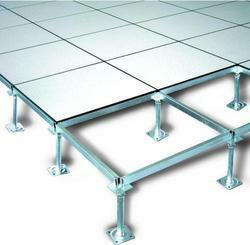 we are leading supplier of Raised Access Floor System throughout south India. Sports Flooring offered comprise a wide range of finish solutions to choose from so as to perfectly match up with the specific demands of the customers. 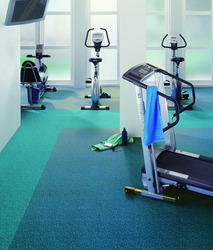 The offered flooring solutions can be offered by us in different size & thickness as demanded from us. Some of its features include available in different widths of 1.5m, 1.8m and thickness of 2.0mm, 3.5mm, 4.0mm and others; expertise in offering flooring solutions for different games like Badminton, Table Tennis, Basket ball, Volleyball, Hockey; easy to install presentation finish; comes with good water-proof ability. Looking for Smooth Flooring ?